American players in Premier League – Football (or soccer) is the most popular sports in the world, but not in US. There are other sports more popular than soccer in US, such basketball, baseball and even American football or whatever they called. But US soccer keep growing and become popular in recent years. Many US players have good career in Europe, known as center of world football. More specific, there are many US players in Premier League or EPL as one of the best league in the world. Soccer or football maybe not number one sport in United States, but US national team is known as one of traditional teams at World Cup. They qualified to World Cup quarter final in 2002 edition and several times reach knock-out round. Many US footballers play in Europe league, like Bundesliga, La Liga and EPL. EPL or English Premier League known as most popular and most watched football league in the world. 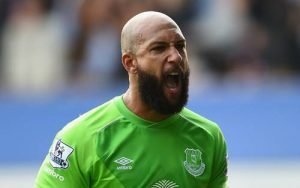 Many American players in EPL only play in mid-table team such Everton, Aston Villa, Fulham or Stoke City. Even so there are example of US players in Premier League who have played for EPL’s top team like Manchester United, Chelsea or Manchester City, but they just backup player and his career is short at that clubs. Throughout its history, many US players play in EPL. There are memorable players that many fans will remember, but some US players also forgettable too. 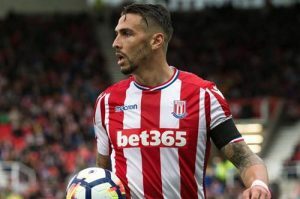 Below is list of notable example of American soccer players in Premier League from its inception until now that famous and have decent career in England. Since its inception in 1992, there are many US players in Premier League, whether success or failed. 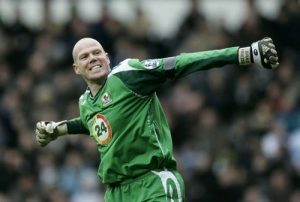 Some notable examples of best American players to ever play in Premier League are Brad Friedel, Clint Dempsey, Tim Howard, Claudio Reyna, Brad Guzan and Brian McBride. With US soccer interest keep growing, it’s no surprise if we will see many more list of US players in Premir League clubs in the next couple seasons.